Recently, on 2017, the international company Royal Dutch Shell and Petrobras signed an agreement of understanding to establish a long-term mutual collaboration in the development of pre-salt fields in Brazil. By signing this memorandum Shell will benefit from technical solutions, contract management experience and cost-effective initiatives that Petrobras applies to pre and post-salt projects in Brazil. On the other hand, Shell will share its experience in deep waters around the world, with special emphasis on cost efficiency efforts and the use of technology. The Memorandum of Understanding also includes the exchange of best practices on security and governance management, technical and operational solutions, contract management, logistics, well construction and air transport security. The meeting was attended by important people from both companies, the document was signed by Shell CEO Ben Van Beurden and Petrobras CEO Pedro Parente. This meeting took place during a visit by Petrobras executives to the headquarters of Shell. The signature of the agreement has a validity of five and can be renewed at the end of that time. Shell is Petrobras’ strategic partner in the pre-salt, with minority interests in the Libra and Lula fields, as well as other important areas such as Sapinhoá, Lapa and Lara, all in the Santos Basin. It is recalled that in May, Shell, through its subsidiary BG E & P Brazil and partners of the consortium in Lula South, started production of deep water in the P-66 FPSO. Where positioning was achieved at a water depth of 2,150 meters, the P-66 has a capacity to process up to 150,000 barrels of oil and six million cubic meters of natural gas per day. The FPSO is the first of a series of standardized vessels operated by Petrobras to begin production within the BM-S- 11 block consortium and the seventh to produce within the consortium in general. On the other hand, the P-66 is the tenth deep water FPSO in operation through Shell’s working interest in the pre-salt areas of the Santos Basin. Shell also operates two additional FPSOs offshore in Brazil. Shell is an internationally recognized company and operates throughout the world with various markets in the maritime industry. In the case of Shell’s deep water business also extends to the Gulf of Mexico, Nigeria and Malaysia and worldwide, it produces an estimated 725,000 barrels of oil equivalent per day (boe /d) and production is expected to reach approximately 900, boe / early 2020s of areas already discovered and established. Regardless being pointed as the world’s most indebted oil company, Petrobras has announced they will stick to its investment commitment for the next 5 years period (2018-2022). The estimated amount of investment is around the $74.5 billions of dollars, a little bit more than the last investment in the previous period (2017-2021) for $74.1 billions. The forecast is to spend $60.3 billions in exploration and production and the 57% of that investment will be on the pre-salt layer, including $18.9 billions on Campos Basin. In order to reduce its debt, Petrobras is working on divesting assets, at the same time they are planning to boost the production. They are expecting to achieve a daily production of 3.55 millions of barrels of oil. LNG – This time the port of Ningbo-Zhoushan, the port of Marseille Fos and the port of Vancouver, have joined the port of Singapore and seven other organizations to participate in an international group of LNG bunker concentration. The main objective of this group is to strengthen the network of LNG ports and reinforce the efforts for the use of LNG as marine fuel. Liquefied Natural Gas (LNG) – meaning natural gas that has been processed to be transported in a liquid form. It is the best alternative to monetize remote and isolated reserves, where it is not cost effective to bring the gas to the market. With the merging of new ports, a network of a total of eleven ports and maritime administrations is expanded in Asia, Europe and North America. This organization was formed for the first time in 2014 by the Singapore Maritime and Port Authority, the Port Authority of Antwerp, the Port of Rotterdam and the Port of Zeebrugge. In 2016 the Asian representation of LNG was strengthened by the merge of the Ministry of Land, Infrastructure, Transportation and Tourism of Japan and the Port Authority of Ulsan of the Republic of Korea. Also, other industries have also joined this initiative, Yokohama-Kawasaki International Port Corporation (YKIP), is now part of SEA / LNG, the industry’s multi-sector coalition with the goal of accelerating the widespread adoption of LNG as a marine fuel. SEA / LNG and member organizations continue to support the need to collaborate, demonstrate, and communicate key factors such as security, regulation, and economy to provide the confidence and demand needed for an effective and efficient global value of marine LNG by 2020. In this regard, TOTE Inc. President and Executive Vice President, Peter Keller, said: “Ports around the world are taking the LNG seriously and as customers begin to adopt LNG as a viable and scalable solution, then ports are recognizing that it is an essential part of a future supply of strong fuel”. One of the strongest countries in the industry is Japan, which is the world’s largest importer of LNG, with 35 regasification terminals. In 2016 it had about 34 percent of world imports, meaning about 86 million tons of LNG. On the other hand, the ports of Yokohama and Kawasaki are perfectly located geographically to serve on the Asian side of the Trans-Pacific route. YKIP is the second Japanese organization to join the SEA / LNG coalition in a matter of weeks after the newly announced incorporation of Marubeni Corporation. This adds up to 26 members and highlights the growing of the LNG industry as a cost-effective, secure and environmentally friendly long-term solution. SEA / LNG, brings together key stakeholders from various sectors of the shipping industry, including the supply chain, shipping companies, rating societies, ports, major LNG suppliers, downstream companies, Infrastructure providers and OEMs to address trade barriers and transform the use of LNG as marine fuel. Unmanned Cargo Ship – The Houston, Texas-based rating company called the American Bureau of Shipping (ABS) recently joined the Unmanned Cargo Ship Development Alliance. This group was recently launched in Shanghai, China, who plan to have an unmanned vessel in the water by October 2021. “Increased civilization, advanced technologies and new levels of connectivity are changing the way the maritime industry operates,” Kleess said. Technological advances are increasingly at the forefront of the needs of the industry and it is appropriate to use it in favor of the existing interests. On the other hand, the Unmanned Cargo Ship Development Alliance is chaired by China HNA Technology Group Co., Ltd. It is made up of nine members including ABS, CCS, China Boats Research and Development Institute, Shanghai Marine Diesel Engine Research Institute, Ltd, Hudong-Zhonghua Shipbuilding Group Co., Ltd, Marine Design Research Institute of China (MARIC), Rolls-Royce, and Wärtsilä. NHA Technology Group vice president Li Weijian said that this newly formed alliance is promoting new design innovations and naval operations, working to promote the safe adoption of these assets in the market, that being said, this alliance will apply the latest technologies for the development of a new concept of autonomous vessel. The creation of autonomous and unmanned ships represents a great innovation in the maritime industry, which is why it is one of the many issues addressed at the Conference and Fair Smarter Ships 2017 held this past 11 and 12 September 2017 at the Hyatt Olive 8 in Seattle, WA. The conference was opened by Senior Vice President of ABS and Head Office of Technology, Howard Fireman. The conference was to focus on emerging markets, new business opportunities and the latest technologies. It was pointing at changing the way of doing business and the most outstanding topics were: Large data and remote monitoring, autonomous and unmanned ships, Robots, drones and AUVs, marine applications, hybrid propulsion technology. Ocean Institute – The WMU-Sasakawa Global Ocean Institute is the new announcement by the World Maritime University (WMU) and the Nippon Foundation, during the 71st Session of the Marine Environment Protection Committee (MEPC), held at the headquarters of the IMO. The creation of the Ocean Institute is a response to the United Nations’ Sustainable Development Goals and especially goal 14, the Oceanographic Objective, where governments are committed to the proper use of marine resources for sustainable development. In addition, the main goal of this institute is the interaction between the ocean, science, politics, law and industry to discuss the use and management of ocean resources and spaces for sustainable development. The Ocean Institute will work hand in hand with IMO and other United Nations organizations including UNESCO. In this regard, the Secretary General of IMO assured that the establishment of this Institute for Ocean Research will provide the IMO with the opportunity to strengthen the Sustainable Development Goals. The creation of this institute together with the support of the Nippon Foundation, the WMU and IMO represents a breakthrough in the promotion of ocean research, education and the promotion of global policies. It is an initiative that will make a significant contribution to the future of the oceans. In this regard, the Executive Director of the Nippon Foundation, Mitsuyuki Unno, stated that “the world community is beginning to accept the undeniable fact that the ocean is in crisis and that a holistic approach to the governance of the oceans, that is to say an orientation that in turn is intergovernmental and trans-disciplinary “. It also ensures that through this alliance opens a wider range of fields related to the ocean, making this institution the most appropriate partnership to initiate new efforts, to build human capacity to meet the growing challenges of sustainability in the oceans of the world. In short, the Ocean Institute is an advance in the scientific and academic research of the oceans, as well as contributing to the promotion of global policies and a holistic approach that allows the proper orientation of the use of ocean resources to be developed in a sustainable way. 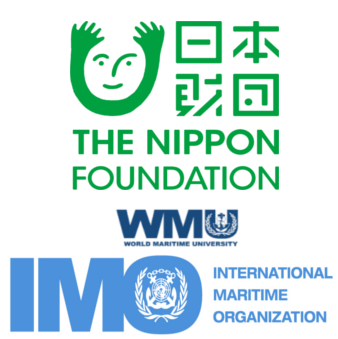 It is a major initiative involving the Nippon Foundation, IMO and WMU. Copyright © 2014 PCSOPEP. All rights reserved.